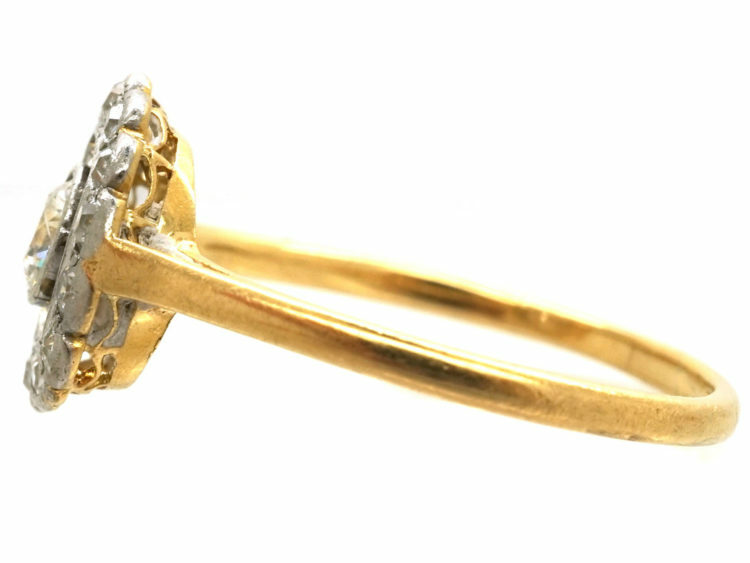 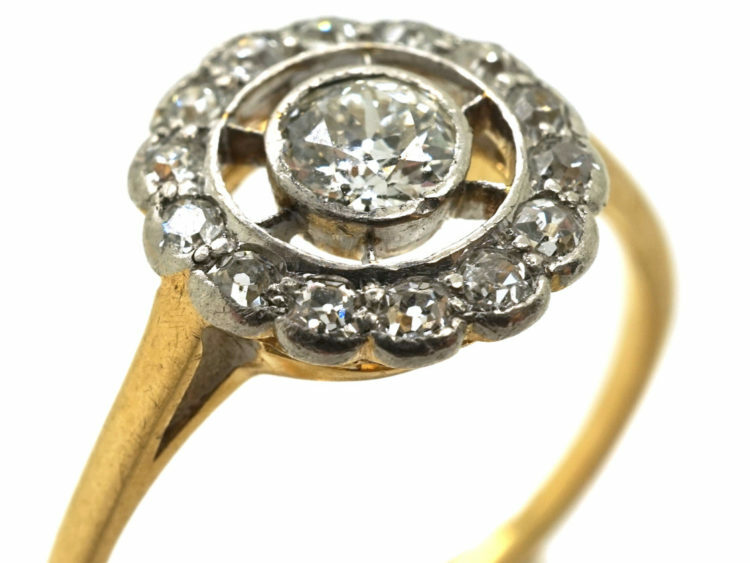 A lovely 18ct gold ring with a platinum top that was made circa 1920. 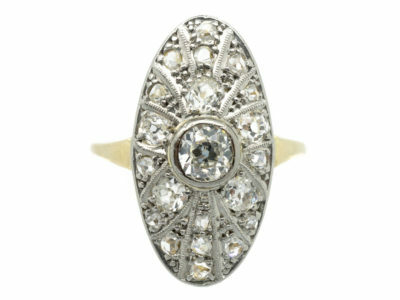 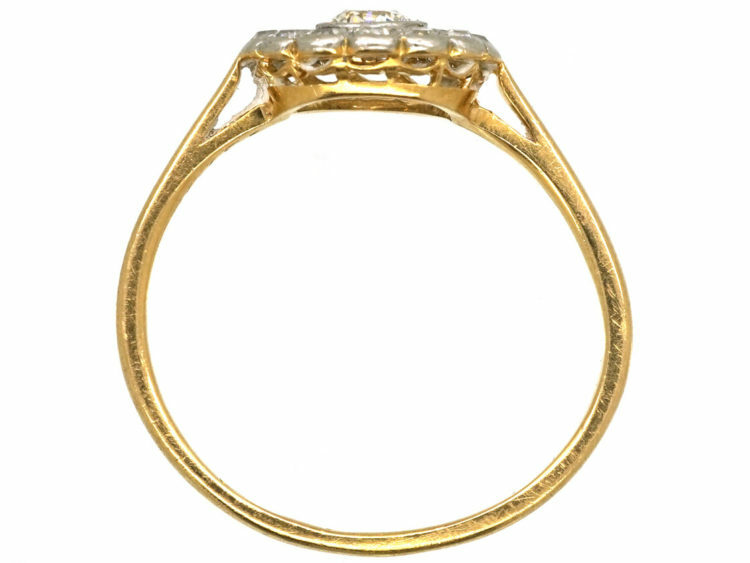 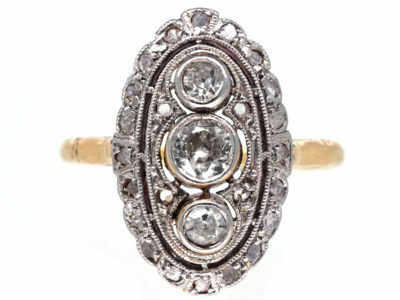 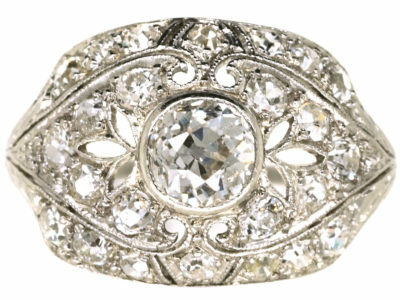 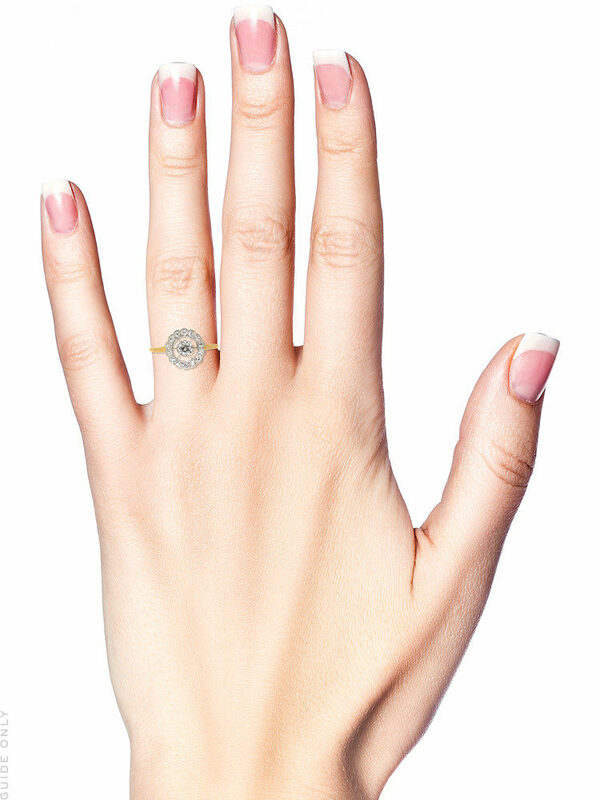 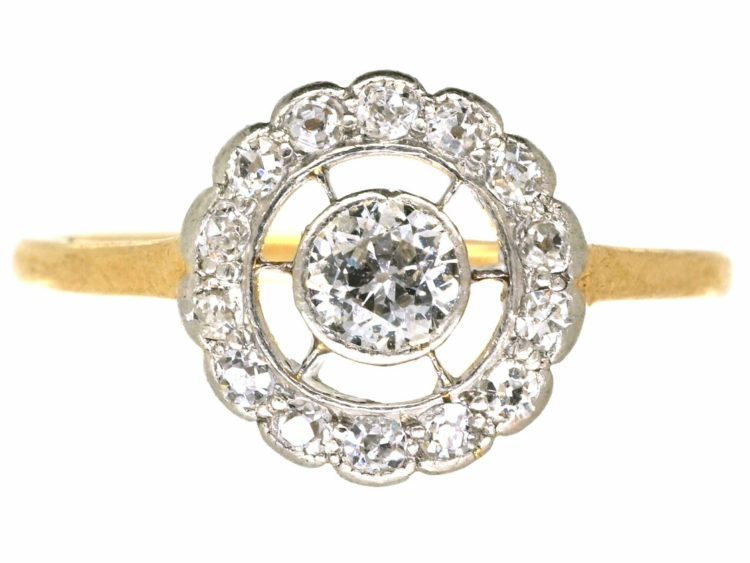 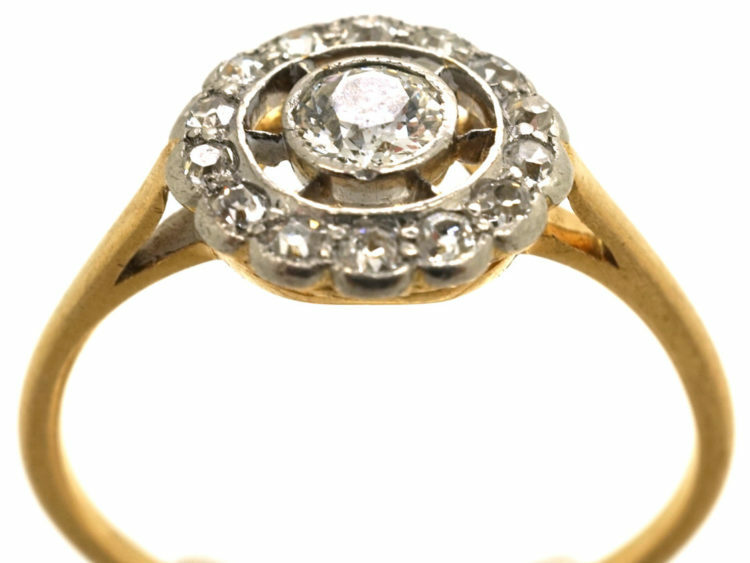 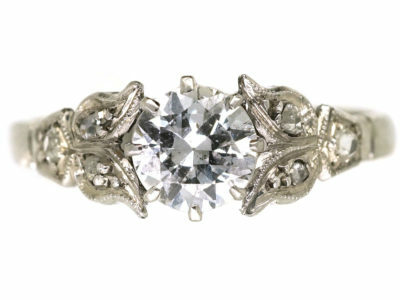 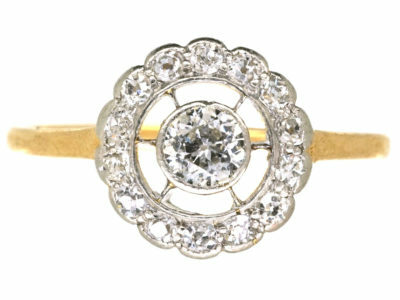 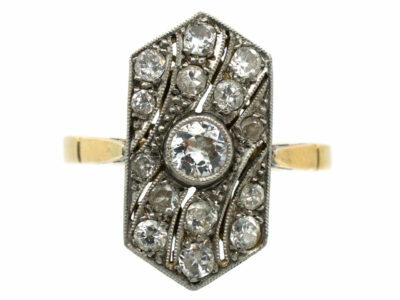 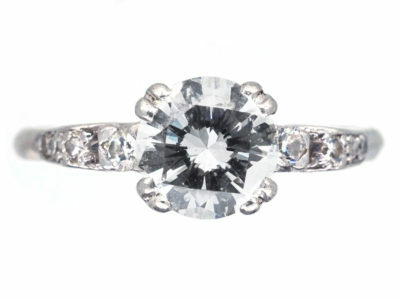 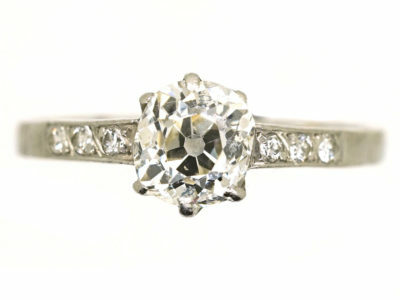 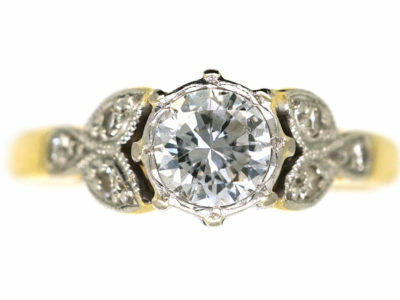 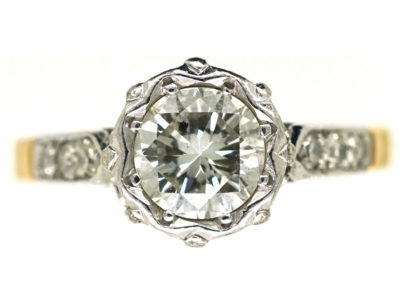 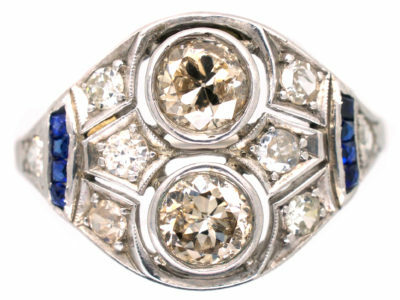 It is a target design with a central thirty point bright white diamond in an openwork setting with small white diamonds around the outside edge. 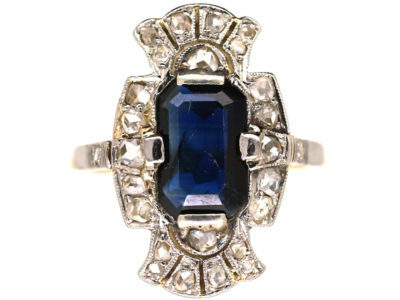 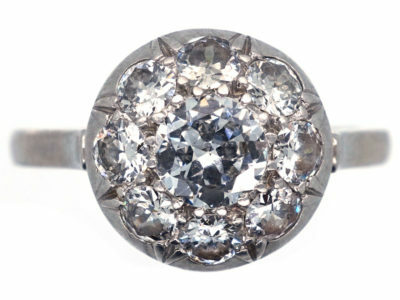 This ring would make a special engagement ring.